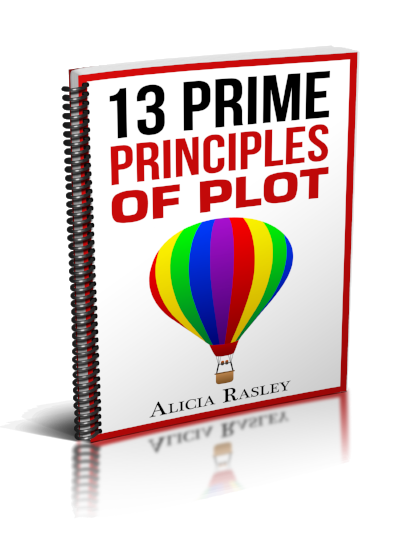 Then you can see how each of the events flows into the next to create the overall plot. Cause: Jane is so afraid that she blew the SATs that the next morning she runs away from home. Event-- She joins the circus and learns to do trick-horse-riding. Then look at that big event and after it jot down the EFFECT of the event-- internal and/or external. EFFECT: At the circus she is befriended by the bearded lady and realizes looks aren't everything. The ringmaster notices her talent and suggests that she become a full-time employee and travel with them. Then go on to the next turning point event. - a whole string of them. Example: In the start of Wizard of Oz, Dorothy sensibly takes shelter from the tornado. But of course, the tornado is going to take her to Oz, so she has to get out of the tornado shelter, right? Notice though that the writer didn’t just have her run out of the shelter; rather her beloved dog escapes, and she runs out to save him— the best motivation! This “cause/effect” doesn’t just force the plot forward, but deepens the characterization: We now know more about what matters most to Dorothy. You might find just identifying the problem event will inspire you to find a good cause/effect sequence!